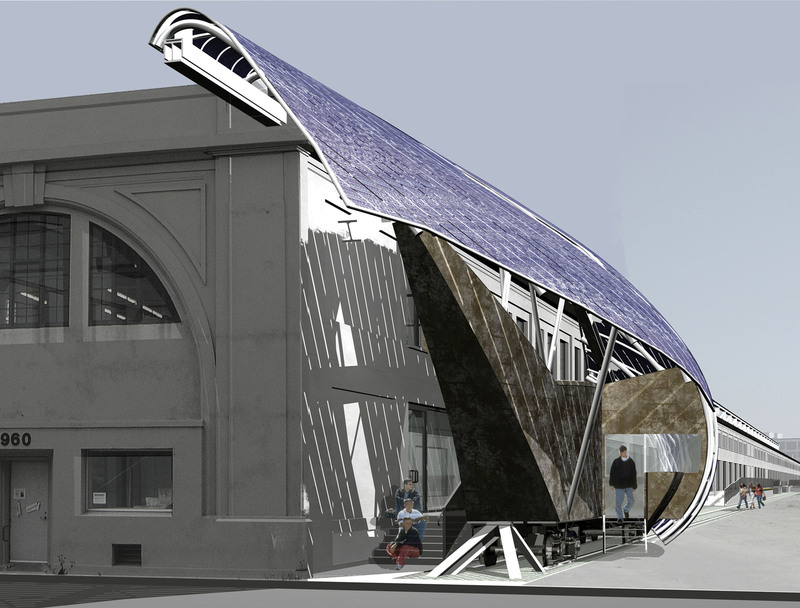 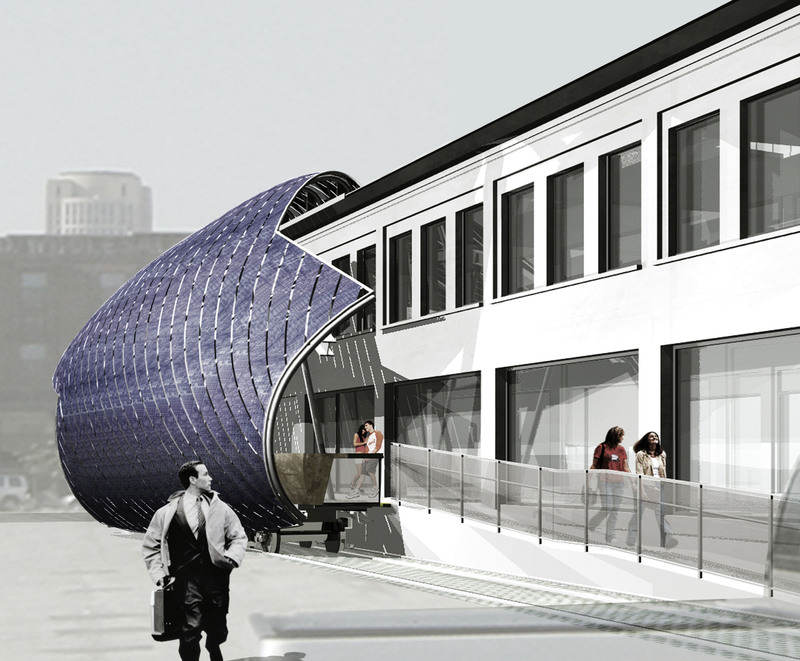 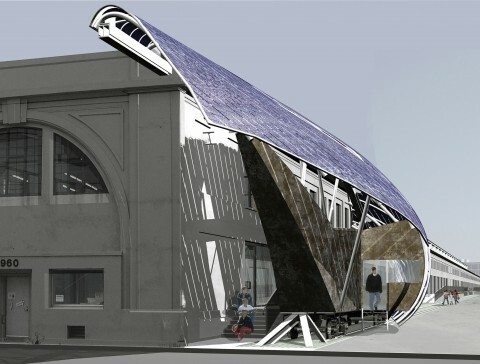 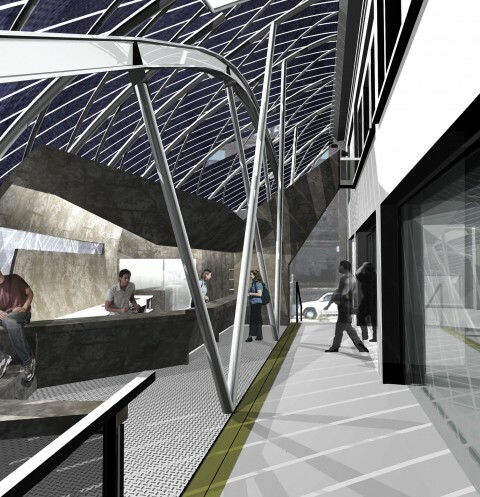 This project for a mobile cafe at the Southern California Institute of Architecture (SCI_Arc) incorporates a café and kitchen. This new café serves as both a practical programmatic solution and a visual beacon for visitors to events at the school. 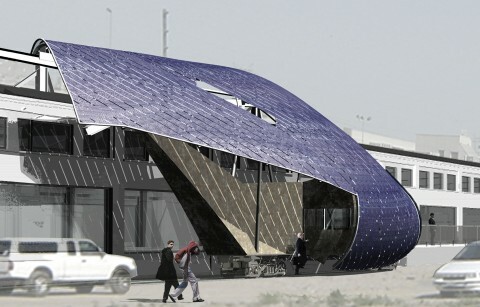 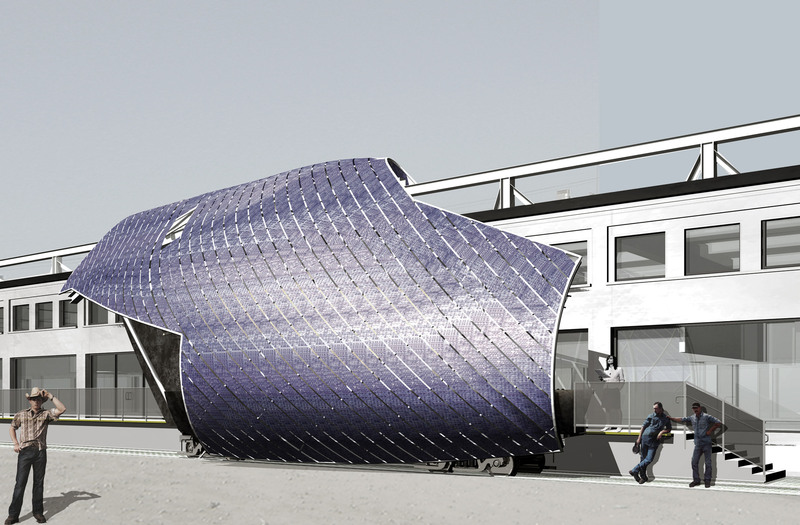 A standard size, rail car chassis is powered by a hybrid electric engine, fueled by solar energy collected on the skin of the project itself. The cafe moves up and down along the facade of the 1/4 mile long school, creating porch like gathering spaces at each docking station. 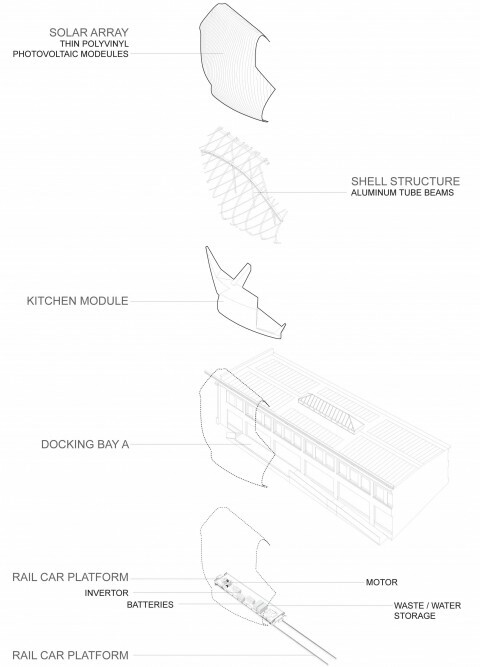 The mobile capacity of the project reflects the shifting center within the institute of SCI_Arc, while the application of ecologically responsible systems signifies the position of the school at the forefront of technology, enhancing the school’s role in the city.